Legendary folk-rock duo David Crosby and Graham Nash played a concert at Oslo Konserthus on Sunday, October 23rd, where they dedicated the song “Just A Song Before I Go” to a-ha. “I’d like to dedicate this song to a-ha. They’re friends of ours. This is for you, Morten”, Nash said as he introduced the classic tune, which first appeared on the album CSN in 1977. A live clip can be seen on YouTube. Morten was in the audience at Oslo Konserthus last Sunday, just as he was when the duo last performed in Oslo six years ago. Graham Nash’s friendship with the members of a-ha, and especially Morten, resulted in him doing backing vocals for two songs on a-ha’s Analogue album in 2005; “Cosy Prisons” and “Over The Treetops”. “I met a-ha for the first time in Barbados, and they made a very positive impression on me. They are different personalities that come together to make something creative. I really respect what they’re doing, and we made good contact. 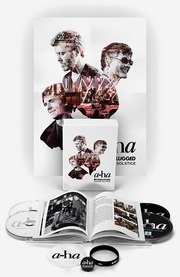 (…) a-ha is a great band, and the songs that I did backing vocals on are excellent”. 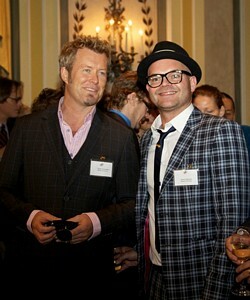 Magne has been spending some time in the US recently. On October 20th he attended a gala luncheon at The Pierre Hotel in New York, held by The Norwegian-American Chamber of Commerce, where Moods of Norway were presented with The Norwegian-American Trade Award. King Harald and Queen Sonja of Norway were also present. Moods of Norway, which has its own store in Los Angeles, has experienced success in the US and is planning another store in New York. Magne is currently on the board of directors of the clothing brand. Some pictures of Magne with Simen Staalnacke and Stefan Dahlquist from Moods at the New York event can be seen at the NACC website here and here. And on October 28th, Moods of Norway posted a picture on their Facebook page of Magne visiting the NASA Jet Propulsion Laboratory in Los Angeles together with Simen and Stefan. The weekly culture programme Nasjonalgalleriet on NRK2 in Norway will broadcast what appears to be a new half-hour documentary about Magne’s work as a visual artist on November 7th. The trumpet refers to his father Kåre’s instrument, which was recovered after the airplane crash in 1969 where Magne’s father and four other members of his band died. In the early years of his art career, between 1989 and 1994, Magne carried the trumpet case with him everywhere, and used his father’s handwritten sheets of music inside the case as the main inspiration for his breakthrough exhibition Kutt in 1995. The hospital sheets mentioned in the description is something Magne has used as canvases for several years, seen in exhibitions like Monologues, Camera and now Futura Plus. This new documentary in Nasjonalgalleriet is not to be confused with John Sullivan’s half-hour NRK documentary Billedkunstneren Magne Furuholmen from 2004, which followed Magne’s process of working with glass paintings and ceramic jars between 2001 and 2003. 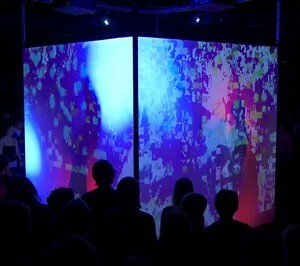 Nasjonalgalleriet is repeated November 9th on NRK1 and November 12th on NRK2. According to the ticket site show.ru, Morten will do a concert in Moscow on April 24th. Tickets are supposedly already on sale. After contacting concert promoter Andrei Agapov, Russian fans were told there will be an additional five concerts in the country. Posted in Morten Tags: morten harket, russia Comments Off on Russian tour dates? Magne is one of the artists taking part in a group exhibition entitled “Under stor press” (“Under great pressure”), which opens at Dunkers Kulturhus in Helsingborg, Sweden on November 11th. “Under stor press” presents around 800 graphic prints by 80 artists, all of whom have worked together with Atelje Larsen – Helsingborg’s own world-renowned print studio. Magne has used Atelje Larsen to create his graphic prints for many years. The exhibition includes works from Magne’s recent “Futura Plus” project, which will be shown in public for the first time, as well as prints made by the members of Apparatjik. When creating “Futura Plus”, Magne has said that he “painted on blood-stained sheets collected from hospital autopsy-rooms and similar”. Magne will be in Helsingborg on November 9th together with fellow artists Kjell Nupen, Ørnulf Opdahl and Queen Sonja of Norway to give members of the press a special preview of the exhibition. There will also be a private vernissage on November 10th. “Under stor press” will be on display until August 5th 2012. Manager Harald Wiik is interviewed in today’s VG, and reveals that members of Pet Shop Boys and Swedish band Kent have written songs for Morten’s new album. “This has been an open process where Morten obviously has written a number of songs himself, but we have also been in contact with various other songwriters. When there’s an opportunity to work with Pet Shop Boys and Kent, of course we’ll say yes. Both bands have extremely good songwriters and have been at the top of Morten’s wish list. We are well underway with the new album. Our goal is to be finished by Christmas, which would mean that the album is released in March next year. Pet Shop Boys vocalist Neil Tennant has in previous interviews talked about a-ha being one of his favorite bands and about Morten having a fantastic voice. Kent vocalist Joakim Berg has also praised a-ha and their songwriting skills, most recently in an interview with ABC Nyheter last year. You may also remember that his brother Adam Berg directed the music video for “Summer Moved On” in 2000. Update: Wiik provides some further comments to Dagbladet about the album and tour. Regarding the songwriting collaborations, Pet Shop Boys have written one song for the album, while Joakim Berg and Martin Sköld from Kent have written two songs together with Morten. Work on the new album started in April this year. It’s being produced by Steve Osborne, and will be released by Starwatch/Universal. a-ha.com says there will be a pre-sale for all three shows on the a-ha Facebook page starting on Wednesday, October 26th, while the public sale starts on Friday, October 28th via Gigs and Tours. To keep track of all the dates on the 2012 tour, visit the Morten Harket tour page. French promoter Gérard Drouot Productions has announced a Morten Harket concert at La Cigale in Paris on May 9th. There will be a pre-sale 10am on Monday at gdp.fr, while the public sale starts on Thursday, October 27th. Meanwhile, tickets for the Zurich concert on May 2nd are now available at ticketcorner.ch. Update: Zurich and Paris have also been confirmed by a-ha.com now. 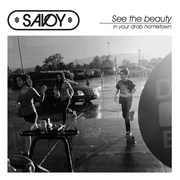 Album release in March, according to the official site. Apparatjik did their sixth performance of the year last Saturday at the Orpheum in Graz, Austria, as part of the Steirischer Herbst Festival. This time, only Magne and Jonas were present of the original Apparatjik members. Instead of Guy and Martin, they were joined by Tobias Wilner (vocals) and Bo Rande (trumpet) from the Danish band Blue Foundation. A picture of the quartet in “combat disco” outfits has been posted on Facebook. More video clips are available here, here and here. According to a fan on the apparatchick forum, Magne told her that this was probably the last time they performed inside the cube. He also said that musically he’ll only be focusing on Apparatjik in the coming year, although it will be a while until the four of them meet up to work together again. BTW, earlier in the week, Magne did an e-mail interview (in his usual “witty” style) with Austrian newspaper Kleine Zeitung, which has been posted here. 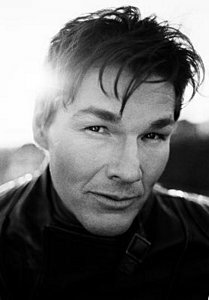 Info about four Morten Harket solo concerts in Germany and Switzerland in April/May 2012 were revealed (prematurely) by a German ticket agency today. Following the info leak, Morten’s management decided to officially confirm the dates, Andrea at a-ha-net.de says. Update: The Swiss promo agency Good News have posted some info about the Zurich concert and a new promo picture on their website. According to the website, which cites Universal, the album is now slated for a February 2012 release. Following the recent confusion about whether or not Morten had started work on a new solo album (see August 31st news update), a-ha manager Harald Wiik can now confirm that Morten is indeed working on his fifth solo album, to be released sometime next year. “I have always wanted to do a duet with Morten Harket. Let’s hope he reads this. I guess he’s got more time now?”, Järvinen says. Morten’s previous solo album Letter From Egypt, which was released in 2008, sold around 30.000 copies in Norway. Update: In an additional comment to VG Nett, Wiik says they’re aiming for a March/April release next year.